Have you had the chance to get acquainted with the new Ensemble Version 5.0? In this new version, we’ve continued to enhance our tools for teaching, training and learning with video. The biggest Ensemble Video Version 5.0 development is our new, simple to use, video quizzing feature. Plus, we’ve updated our Learning Management System (LMS) integrations and made significant improvements to Ensemble Anthem, our personal screen capture tool. Our new online video quizzing tool makes video viewing more active and engaging for students and trainees. With this new feature, instructors and trainers can combine instruction and assessment, allowing them to more effectively reinforce key concepts through video. It also provides a new way to improve teaching and learning by making it easier for instructors to measure student progress. Choose which video you will add questions to and determine your quiz settings. After your students or trainees take the quiz, you can view results and drill down into specific questions and users. You an also export results to a PDF or CSV. These results are also available in your LMS with our new integrations. 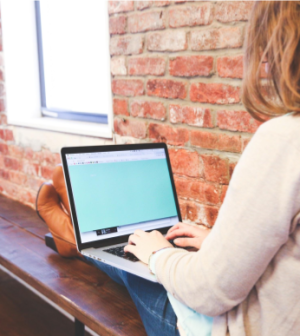 To learn more about why video quizzing is so beneficial for students, you can read our recent blog on this new feature here. Embedding a quiz or Video Dropbox link directly within your LMS from Ensemble Video. Accessing “users” and “views” reports directly within the LMS to see which users watched a video, for how long, how much of the video they watched, how many times each user viewed a video, and when it was viewed. Ability to add text notes on screen during an Ensemble Anthem capture. Custom background images for titles and credits on screen capture videos. Support recording of system audio when projecting videos on a classroom computer. In another recent blog, you can learn more about how these updated LMS integrations and Ensemble Anthem features improve video accessibility for your students. If you have any questions about using our newest Ensemble Video Version 5.0 features, don’t hesitate to contact our support team. 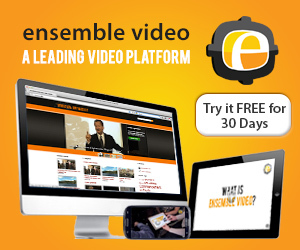 If you think Ensemble Video may be the right tool for you, reach out to schedule a demo or request a free trial. We look forward to hearing from you.